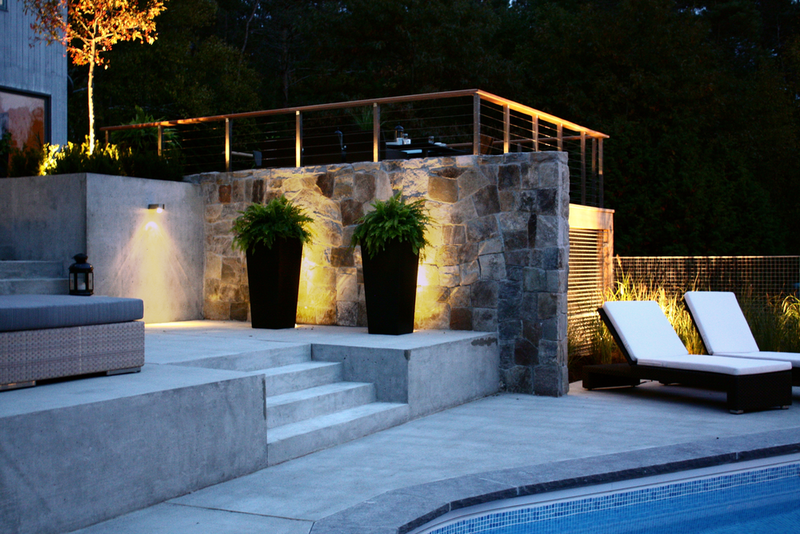 It is nothing short of amazing how professionally designed outdoor lighting can so wonderfully extend the enjoyment of the home or common space. Whether it is just the simple pleasure and pride in approaching one’s well accented home after an evening out, or the long evenings luxuriating outdoors in gently but effectively lit spaces, landscape or exterior lighting is worth every nickel invested. With the broad range of fixture designs now being offered, and the full spectrum of LED functionality and sophisticated wifi remote controllers, outdoor lighting is now more affordable, convenient and lifestyle-enhancing than ever. 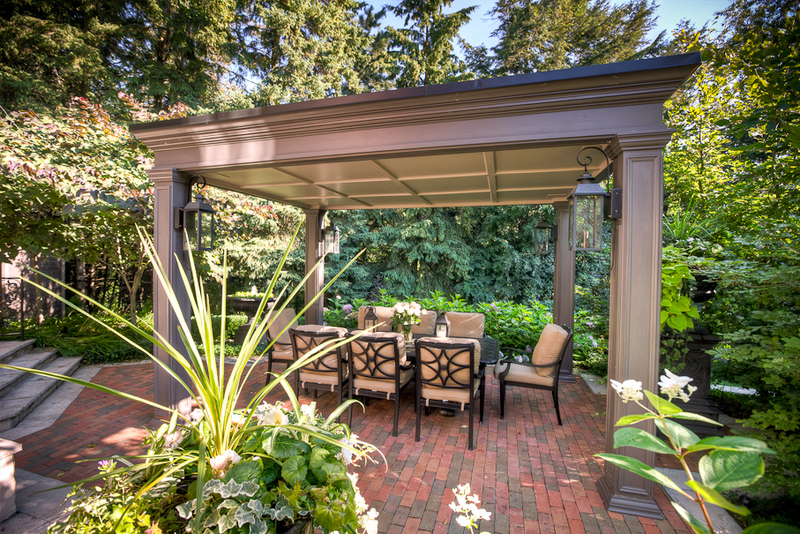 One of the most important landscape design details is the provision of shade. Most of us love the sun, but, equally, we appreciate escaping its heat on a hot midsummer day. Heightened awareness of extended UV exposure has also increased interest in shading solutions. Dayspring approaches shading professionally, taking into full consideration the seasonal azimuth of the sun and the primary locations where shading will be required, to ensure our clients enjoy the warm season in comfort. The Greeks referred to Earth, Air, Fire and Water as the Four Elements intrinsic to life. It’s no wonder then that the addition of fire and water to landscapes has such broad appeal. Fire features provide or suggest warmth and comfort, water features constancy and calm. Dayspring creates both “naturalized” and architectural water and fire features, blending these both in scale and finish, with the existing architecture or landscape.